PC gamers who pre-ordered Alien: Isolation from Steam can start downloading their copy of the game in preparation for Tuesday, October 7th. Crafting is as a very important feature in Alien: Isolation. Before you can craft an item you have to find the corresponding blueprint. Every blueprint allows you to craft only one item, but each of them has up to three upgraded versions. Ninth mission of Alien: Isolation is called “Beacon” and it is one of the most iconic missions in the game because you get to visit one of the most important locations of the first Alien movie – The Derelict. This is a flashback mission where Marrlow tells us the story of how he brought the alien on board Sevastopol. Eight Alien: Isolation mission called “Haven” is not too long in retrospect, but it took me quite a while to finish it. I was experimenting with different ways to activate the transit system (kill the droid and human guards or avoid them?). In the end I talk about the few options I found. Seventh mission in Alien: Isolation takes place in Seegson Synthetics. Our Alien friend makes an appearance in this mission and you get to fry an android, which is always fun. While wandering throughout the space station Sevastopol, you will come across many items that can be use against hostile Humans, aggressive Synthetics or Alien. The first item that you can use to distract your enemy is a flare. There are a lot of dangers in Alien: Isolation and getting something to fight them with is most helpful. There are six non-craftable weapons you can find in Alien: Isolation. Two of them are melee only while others are ranged. Alien Isolation List of Controls and Keyboard Commands that will improve your gameplay and help you stay alive. 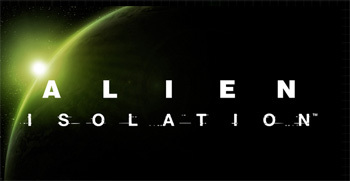 The Quarantine – Alien Isolation: Mission Five starts at Sevastopol Scimed Tower. You are about to go to Samuels and Taylor. This is a rather short mission but it consists of lots of hiding. Seegson Communications guide with screenshots describes the fourth mission in Alien: Isolation that introduces you to hostile androids and motion tracker tool that will be crucial through the rest of the game. Welcome to Sevastopol is the second mission in Alien: Isolation and it involves exploring the Sevastopol space stations Arrival terminals and adjacent floors. Mission has many objectives and sub-objectives and the following guide will help you with all of them. This is the first Alien: Isolation mission and it helps you get familiar with game systems. You will explore the ship and hear some backstory along the way. Torrens is ship of same class as Nostromo, ship where the first Alien movie takes place, so you will get to see and explore some familiar spots.